Our final release of the year at The Ion Age. 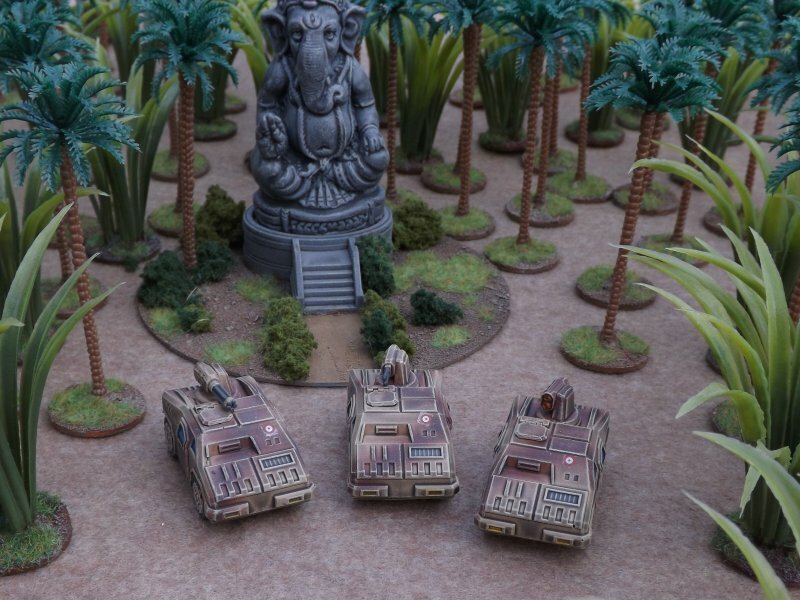 Three exquisite 15mm miniatures; Knight Errants. Perfect as characters and leaders sculpted by Sam Croes. We also have our Xmas offers as well with codes reduced. Click on through to see and learn a lot more. 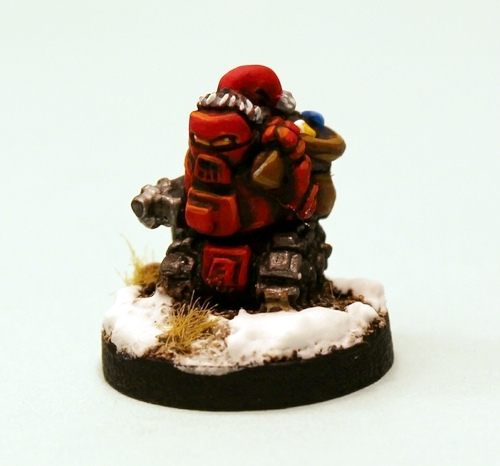 Its the last month of 2014 and that means a new free miniature in all orders at The Ion Age! I present IMP16 Crimbot a delightful robot chum for Santa. 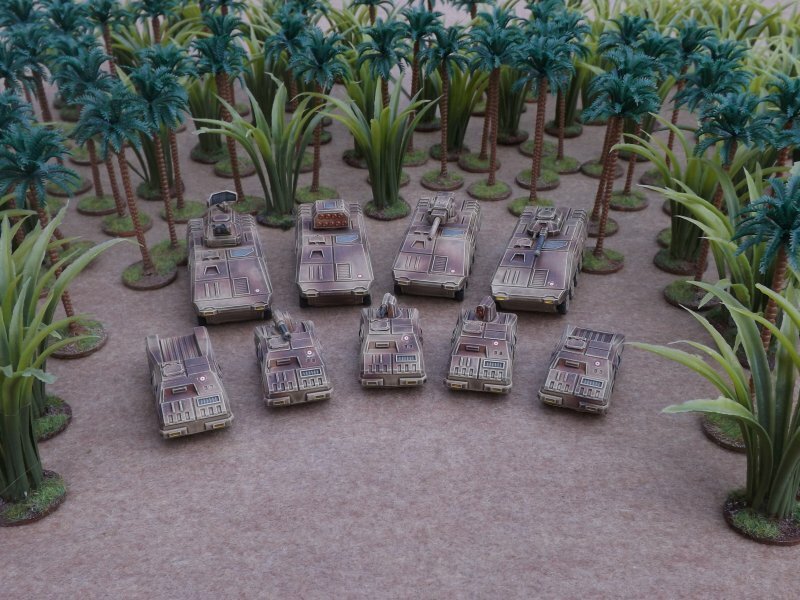 Wargaming should be fun as well as a business...this one is pure seasonal fun! Click through to learn more. 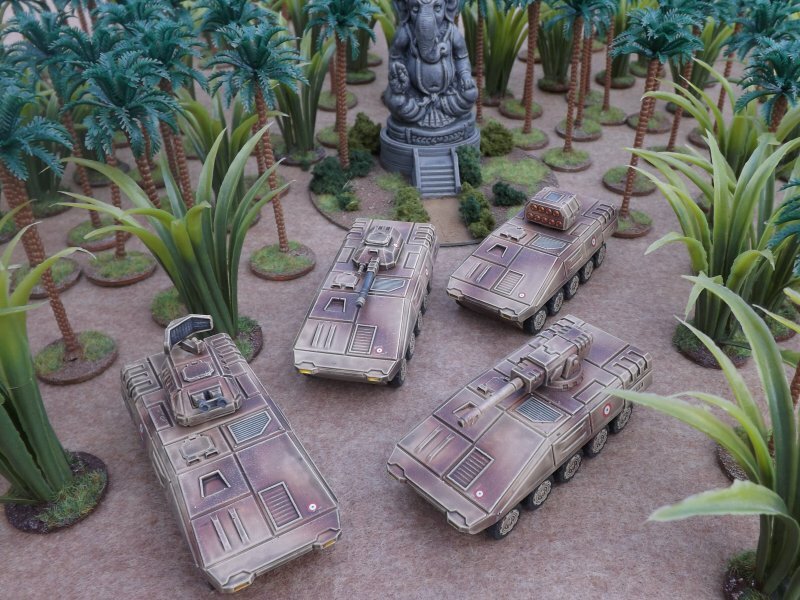 As our final new release of 2014, we have a number of new 15mm vehicles. These represent the Rapid Reaction forces of the European Federation (EuroFed) and are used by the elite units of each national army such as the French Légion Étrangère, Italian Bersaglieri, Spanish Legión Española and the Dynameis Katadromon of Greece. The primary workhorse of these units is the 10-wheeled Catroux APC in its many variations. The basic APC carries the same turret as the Tassigny MICV, but there are also AA, anti-tank missile and remote-gun tank destroyer variants. General liaison, utility and cargo duties are undertaken by the Musareigne 4x4 and the larger 6x6 Lievre pick-up. The armed version of the Musareigne is known as the Javelot, which has a remote turret carrying either twin MGs, a 5-barrel gatling or twin Manta missile pod. Festive Fun begins now at 15mm.co.uk with the return of our 15mm festive range. 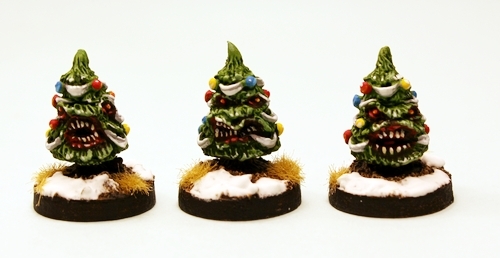 A new release into it Killer Xmas Trees joins our Evil Snowmen. Awesome! These are online only until the first week of January 2015 before retiring until the next winter season. Lots to see and read along with a hint at coming USEME free scenarios. Follow the link. 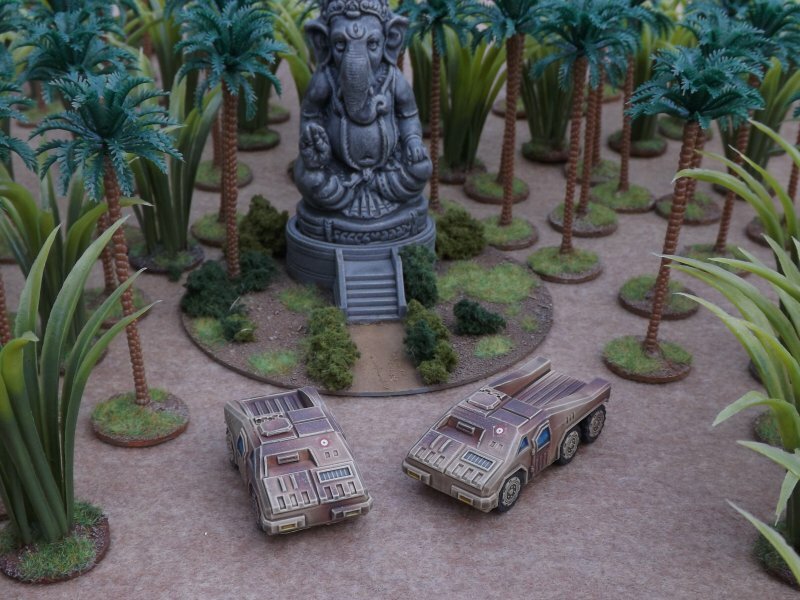 Treat yourself to something really unique in your 15mm collection for Fantasy or Science Fiction, Post Apoc, Horror...heck anything you like. A typical day in the Prydian Civil War with Canlastrian Knights attacking a Prydian Outpost. 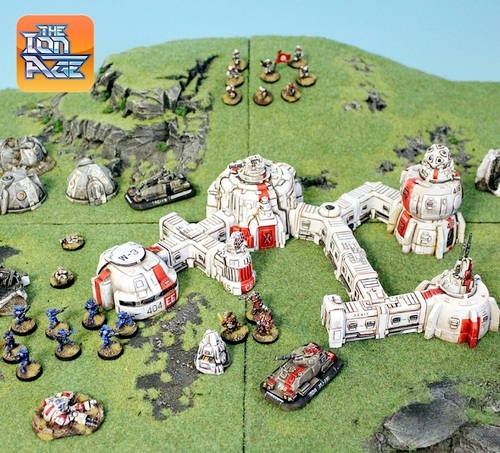 Good pictures to look at and a reminder that our 15mm Hab Colony Terrain bundles and pieces have only until Friday 28th noon GMT left on offers. Save 10%, 20% or more. Click to read and enjoy the pictures.